You know the advantages of silicone hydrogel contact lenses for ocular health. Now your hydrogel-wearing patients can know them, too. CooperVision clariti® 1 day lenses make upgrading your patients to silicone hydrogel easy. Because silicone hydrogel lens material allows more oxygen to pass through to the cornea than hydrogel, your patients will appreciate the benefits of whiter eyes and a healthier** lens-wearing experience. The clariti 1 day lens provides more than the recommended amount of oxygen**** across the entire lens surface to help maintain ocular health. 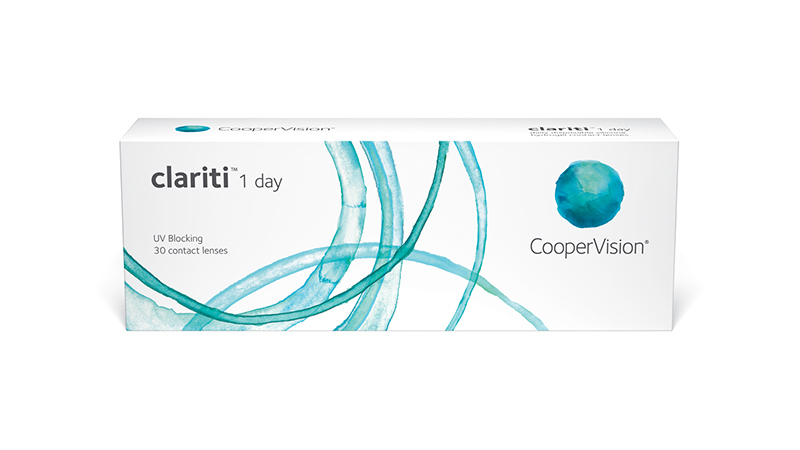 CooperVision clariti 1 day is a hydrophilic lens with optimal wettability. **Data on file; clariti® 1 day offers whiter eyes than 1-DAY ACUVUE® MOIST®.